Today I am teaming up with Megan from the cutest Etsy shop around, With Love by Megan, to giveaway a print of your choice from her shop. 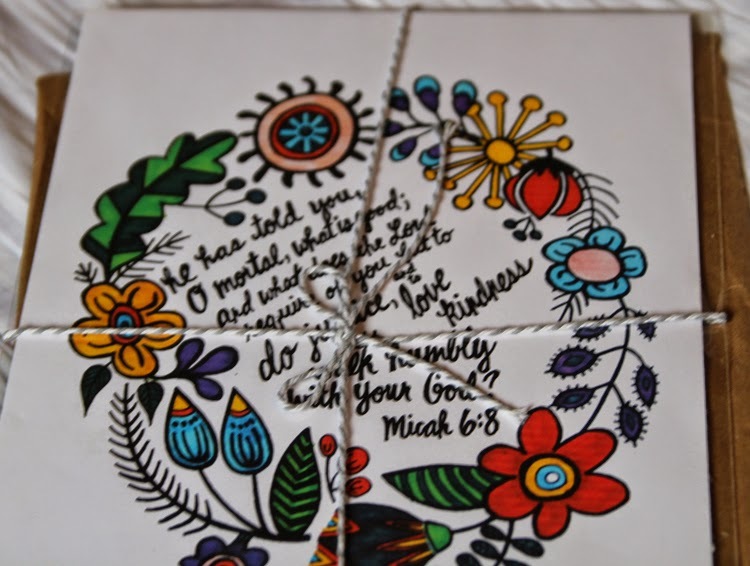 Megan makes and sells hand-lettered prints of Bible verses and quotes. I met Megan at Northwestern College, our alma matter. She was alway a joy to talk with and be around. 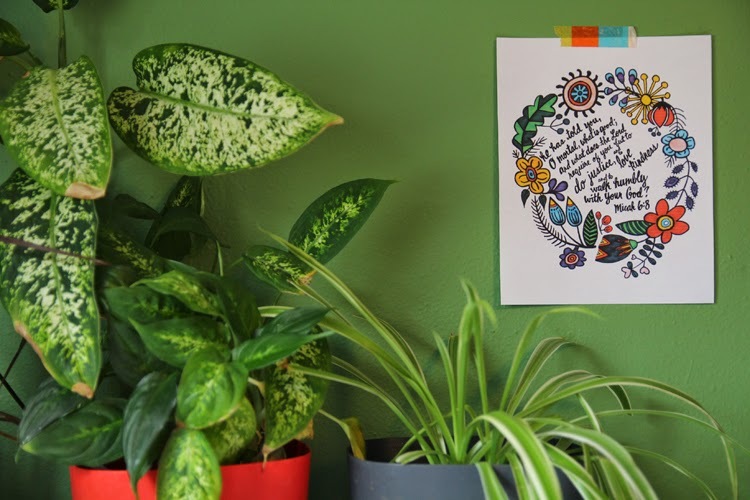 I was super stoked when I saw that she started making & selling the beautiful prints, and decided I must have one for myself! 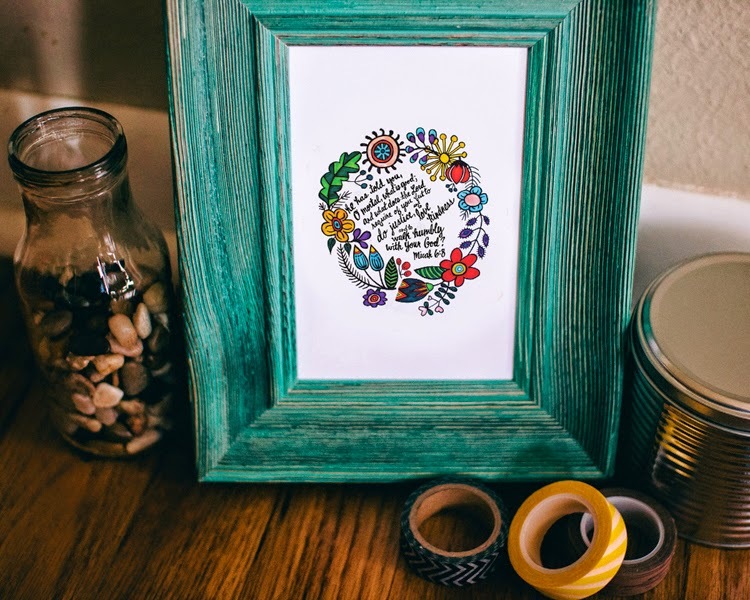 The print that I chose was one with Micah 6:8 hand-lettered inside a colorful, flowery frame. This was a theme verse of NWC's Spring Service Projects in 2011 (when I went to the Dominican Republic). We shortened the verse down to three easy words to live by: Do. Love. Walk. I still try to live by those three words in my day-to-day whether as a nurse in a hospital in America or as a rock-climber in Romania. I hope to carry those three words with me to Zimbabwe & beyond. I was so please when I saw this verse in Megan's shop. It will serve as a reminder to me to Do. Love. & Walk. 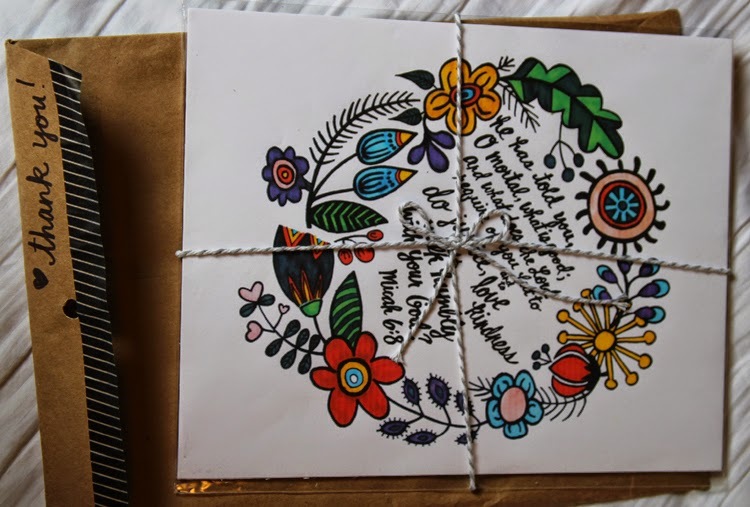 The prints you buy from With Love by Megan arrive in your mailbox in a pretty kraft paper envelope, decorated with black & white branding, and supported with chipboard so the print does not get damaged while shipping. 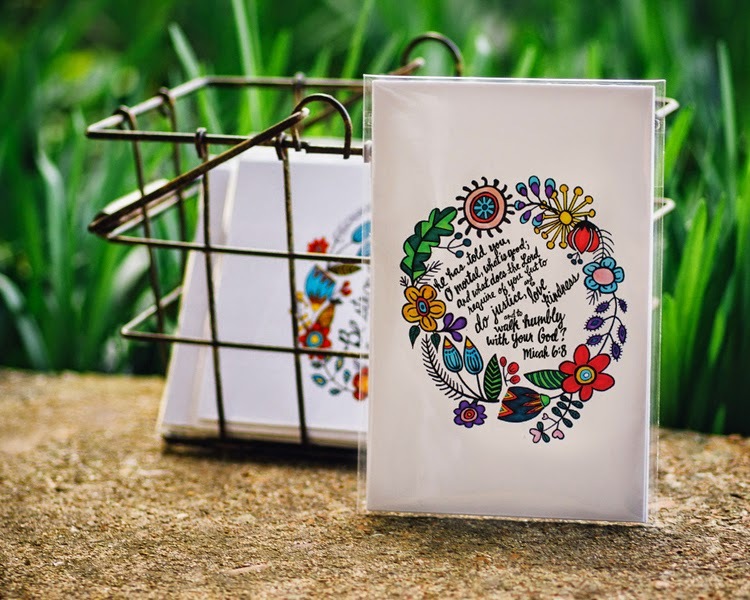 Her prints will go perfect as part of your gallery wall, in a frame on a table, as a bookmark in your Bible, and would also make the best gifts for a friend or daughter (think Mother's Day). They come in two different sizes 4x6 or 8x10. She even has a 2015 calendar. Megan is giving away one of her prints to one lucky winner! Winner will work with Megan herself to pick the perfect print for you. Use the Rafflecopter entry form below for your chance to win! & help me to bring awareness to Megan's shop by sharing this giveaway with your friends on Facebook, Twitter, and wherever else you share your favorite links. & Megan is also offering a discount to Toews Adventure readers for 20% off her hand-lettered prints in her Etsy shop. Use promo code: TCLPA20 at check-out. The fine print: One winner will be chosen at random. No purchase necessary. Open to residents of the United States. All entries will be validated. Pictures included in this post are property of Toews Adventure and With Love by Megan. Although I was not paid for this post, I did receive a free print from With Love by Megan to review the product. All thoughts & opinions are my own. Do you like these prints? Where would you hang it if you won? Leave your reply in the comments section. I LOVE these! And so cool that you know the artist. I would hang it in my bedroom in Spain and pray for you guys whenever I look at it! 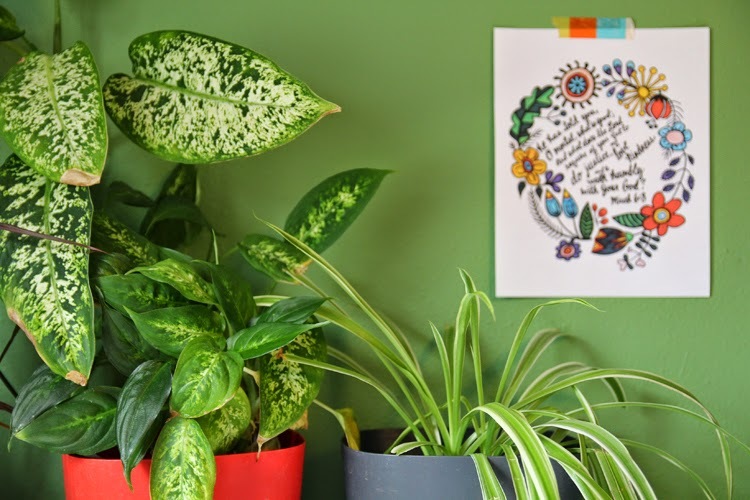 Wouldn't it be fun for your guests to have some beautiful inspiration waiting for them on the walls of the guest room? Thanks Sarie! We appreciate your prayers. How are things back in Spain? I would love to have the 2 Corinthians 12:9 "My Grace is Sufficient for you" with watercolor floral frame. I love that verse so much! Beautiful verse! & His grace *IS* sufficient for you. Amen! Absolutely lovely print! Gorgeous verse and gorgeous design. Hand-lettered Scripture Print - 1 Peter 3:4 with feather - Be Beautiful inside in your hearts print, So very special Thanks for the chance! I like how colorful and intricate they are! I love them! I think I'd hang one up right by our reading corner...I've been looking for the perfect little wall decoration and I finally found one. Even if I don't win the giveaway, I still think I'm gonna buy one. I love the Matthew 17:20 print.